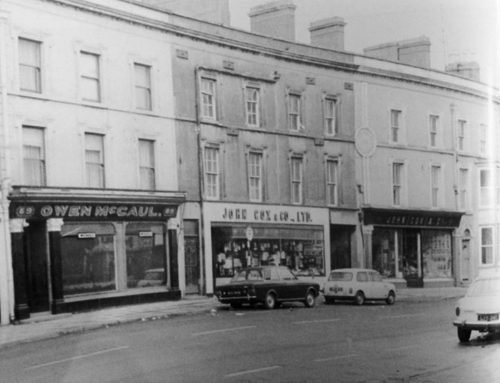 Appreciation post for our beloved Clanbrassil street which we feel truly in love with for it’s quirky shops and endless choices of places to eat. We don’t have to go far at all to find delicious food, a nice pint, a haircut, a phone fix, fried chicken or a tasty cappucino. What more could you need on one street tbh? From old Irish pubs to Halal stores to the best Indian in the area. We’ve compiled a wee list of some of the top foodie spots on Clanbrassil street so take a look and tell us if we’ve missed anything! Gaillot et Gray – French-Irish bakery & pizzeria – these guys have been open since 2016. Cafe by day & delish pizzeria by evening. Ran by Gilles Gaillot and Emma Gray half Irish & French and serving up really tasty sourdough breads & homemade pizza. Facebook here. Konkan Indian – Open from February 2004, these guys have a reputation for being one of the best Indian restaurants and delivery service in the Dublin 6 & 8 area. Since opening thirteen years back, Konkan has managed to earn a list of prestigious restaurant awards. Get down & try a curry some Friday evening after your pint in MVP that is. Website here. Clanbrassil House Coffee Shop – Where best to get your coffee on the way to work be it in the morning or in the evening before the later shift that Clanbrassil House Cafe. Pastries, coffee & tasty toasties & salads for lunch. Their famous Paris Brest – us MVPers are mighty fans and have indulged a few times before the work shift. Everyone needs a lil pastry pick me up before work sometimes. Website here. Clanbrassil House – Sister restaurant to Bastible, Grainne O’Keefe is cooking courses over charcoal & has a modern take on brunch on the weekends. We may have asked her to supply us with their delish toasties for the pub too cause well they’re delicious and what goes better with a pint of Guinness then a classic toastie? Nothing you say. Website here. Bastible – Barry Fitzgerald’s restaurant serving up seasonal 3 course meals & added snacks like tartare served with fresh salted crisps & cheesey doughnuts. When they first opened they were booked out for months and have been flat out ever since. Website here. Jolin’s Vietnamese Coffee House – Traditional Vietnamese right across from MVP. Reasonably priced, very tasty & simple setting. Best part about it is Jolin herself cooks the goods. The menu is a mix of Vietnamese & Thai dishes, summer rolls, noodles, salads, & pho. Facebook page here. Favourite Fried Chicken House – Need we say more? Looking for a fast food quick fix on your stroll home after a few delicious cocktails in MVP? As read on a yelp review ‘never ordering from KFC again’. They got you covered. Takeaway website. The Thursday Cafe – Breakfast, lunch & delicious treats. Aga Sierpinska serving up homely dishes with Irish produce perfect for your Saturday afternoon. A spot to relax & read the paper & stuff your face with tasty french toast. Website here. Want to pop in for a drink before you head off to one of these delishy spots? Book into MVP now. You know you want to.